It is officially tomato season and although I love eating the fresh slices with a dash of salt, I also want to preserve that pure summer flavor for the whole year. Over the last couple of summer's I have been getting into canning and making my own jams and sauces. 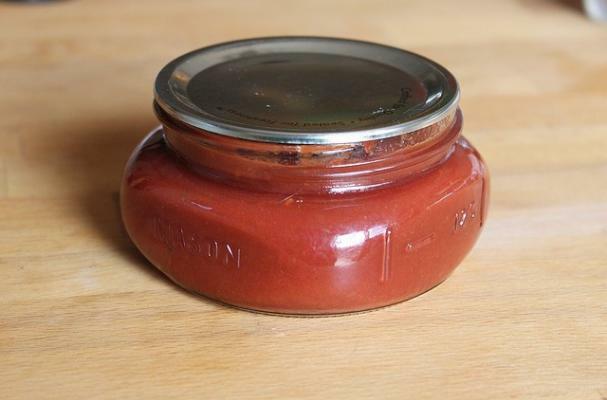 This summer I plan to stock my pantry with tomato jam, tomato sauce, and my new favorite project, homemade ketchup. I prefer the taste of homemade ketchup compared to the bottled stuff because the flavor is fresher and more intense. I can really taste and distinguish the various spices. I urge you to get into the kitchen and try to make your own version of America's favorite condiment. For full recipe instructions, click the link above the ingredient list.